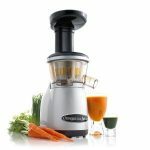 Vitamix blenders have been popular with raw foodies for many years for their ability to make a superior green smoothie. 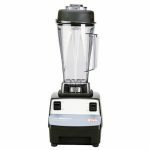 From their powerful motors to the unique, patented design of their cutting blade assembly, each aspect of Vitamix blenders has been designed to provide professional and uniform results each time they are used. 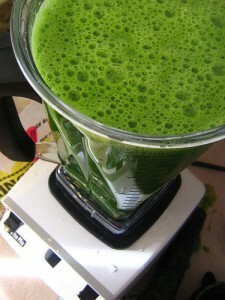 In short, you will never have to worry about finding unblended chunks of fruits or vegetables in your green smoothie. 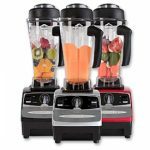 The powerful abilities of Vitamix blenders will allow you to add whole, uncut fruits and vegetables to the blender to make your green smoothies. 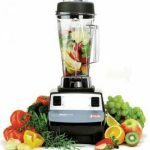 Because you are not required to cut your fruits and vegetables beforehand, a Vitamix blender considerably reduces the amount of time that is required to prepare green smoothies. 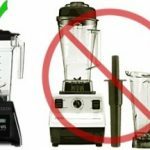 Additionally, because most of the components of Vitamix blenders are dishwasher safe, clean up only takes a few moments as well. 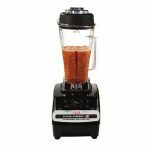 The blending pitchers of Vitamix blenders are also available in varying capacities, from 32 to 64 ounces. These generously sized pitchers allow you to make large quantities of smoothies in just a few moments and to prepare recipe beforehand when you are short on time. 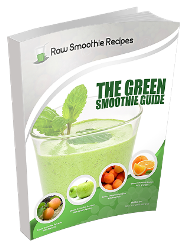 Consuming green smoothies is a valuable investment in your health, and purchasing your own Vitamix blenders will be a valuable investment in your kitchen.